Chrysler tried their best to keep up with Cadillac and Lincoln back in the fifties, but the sale numbers were never there. 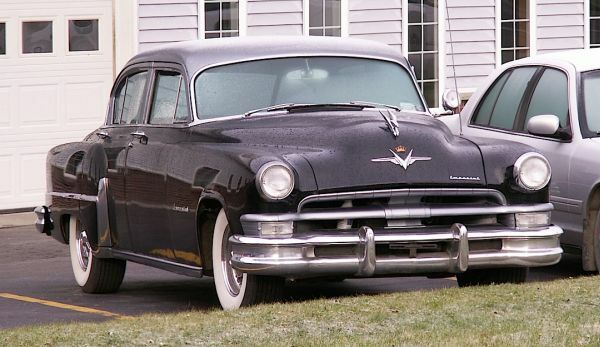 It probably didn’t help that they bounced their premier marque, of which this 1953 Chrysler Imperial is a prime example, back and forth between being a separate nameplate and being the most expensive Chrysler. They were also hurt by the fact that from a block away you couldn’t much tell a $4,500 Imperial from a $3,000 Chrysler Newport. This one was seen a few years back in Yorkshire. Jim Corbran, RRofWNY …and check out our Facebook page: Non-American Classic Cars The post RealRides Of WNY appeared first on Buffalo Cars.